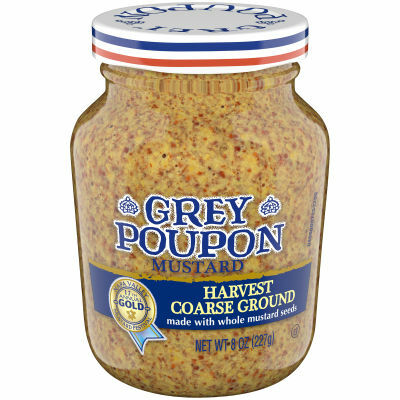 Harvest Coarse Ground MustardEveryday mustard, lavished with extraordinary twist of white wine, vinegar and spices. The citrusy, fruity aroma of white wine fused with earthy herbs and spices when harmonize with the finest brown mustard seeds create a flavor you'd succumb to!A Mustard not from Dijon is not a Dijon MustardGrey Poupon's Dijon Mustard is made in accordance with the original recipe from Dijon, France which dates back to est. 1777. We bring to you the authentic, unaltered flavor from Dijon, which is passed down through generations.